Scout youth members converge on the Newcastle Foreshore. More than 2500 Scout youth members converged on the Newcastle Foreshore on the weekend of the 22nd and 23rd of September, to celebrate 100 years of Scouting. 85 Scout Groups from the Hunter and Central Coast regions of NSW where represented over the two day event that included activities such as abseiling, amateur radio, canoeing, bungy jumping and camping. 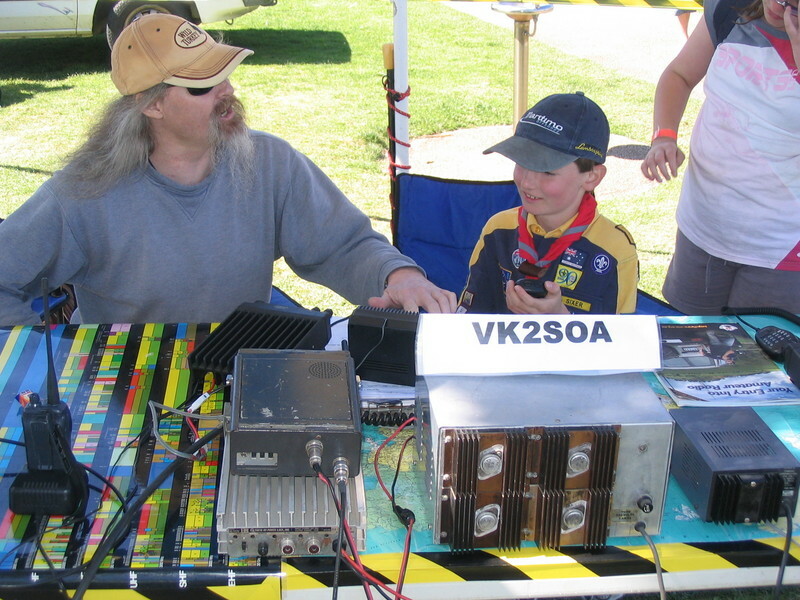 A band of enthusiastic Foundation licensees guided by Hunter Radio Group members, set up and manned a portable field station that was tried, tested and proved itself worthy in operations and resistance to Saturday's gale force winds and threatening rain! 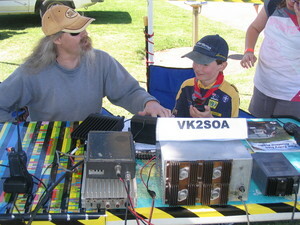 The station's operators, Paul VK2FPAC, Karen VK2FKRN and Gianni VK2FGCV (who is also a Cub Scout leader), showed prospective future Hams the ropes and introduced them to basic radio communications as well as the Echolink system. The weekend was a steep learning curve for the first timers, but a great rehearsal to the upcoming worldwide event which is JOTA.